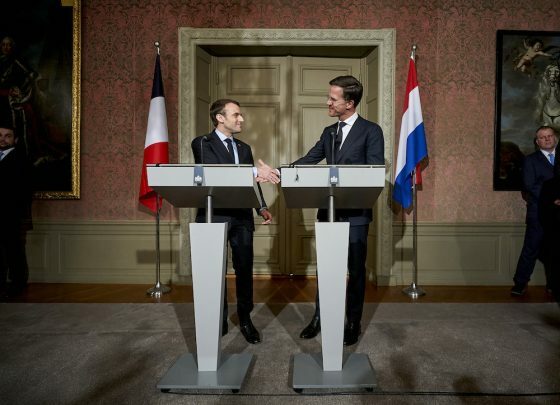 French president Emmanuel Macron was in the Netherlands on Wednesday for bilateral talks with prime minister Mark Rutte ahead of the European Council meeting later this week. Speaking at a news conference after the meeting, Rutte said that both the Netherlands and France were ‘on the same side’. ‘Issues such migration, climate, the internal market, security and defence can all benefit from the European alliance,’ Rutte said. This, according to broadcaster NOS, was a nod to Macron’s speech last year in which he set out his ideas for Europe and further integration. For his part, Macron said he is pleased at the way the two countries work together to deal with problems such as IS. 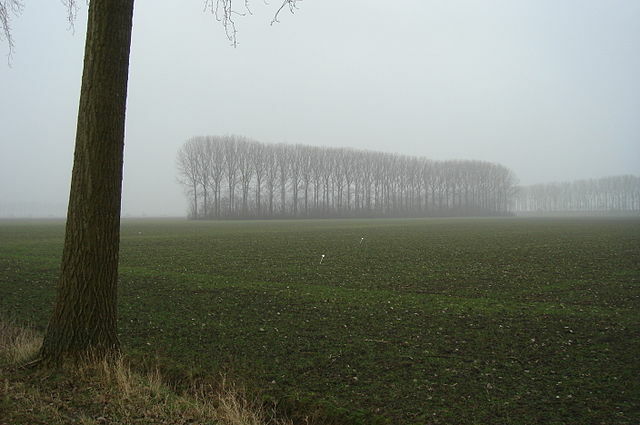 But he went on to suggest that the Netherlands should ‘take more responsibility’ to enable greater integration. The Dutch government does not want to send more money to Brussels but should change tack, Macron said. EU member states should work together on fiscal policy such as harmonising corporate taxes, the French prime minister said. The Netherlands is strongly opposed to this, arguing that the current low Dutch rates are one reason the country is so successful in attracting foreign firms. Macron described this as ‘unfair’. ‘We have to work together otherwise the big companies will play us off against each other,’ he is quoted as saying by broadcaster NOS. Both are both pro-EU and hold liberal economic views, but Macron has laid out an expansive federalist vision, even endorsing the concept of a EU finance minister. Rutte, by contrast, believes power should be concentrated as much as possible in the national capitals, Politico said. In a speech in Berlin earlier this month, Rutte said Britain’s departure from the EU is an opportunity to reduce the EU’s joint budget. The Netherlands is a net contributor. ‘Let me be very clear,’ he said. ‘My goal for the multi-annual budget is this: no increase in contributions, but better results within a smaller budget.